2. 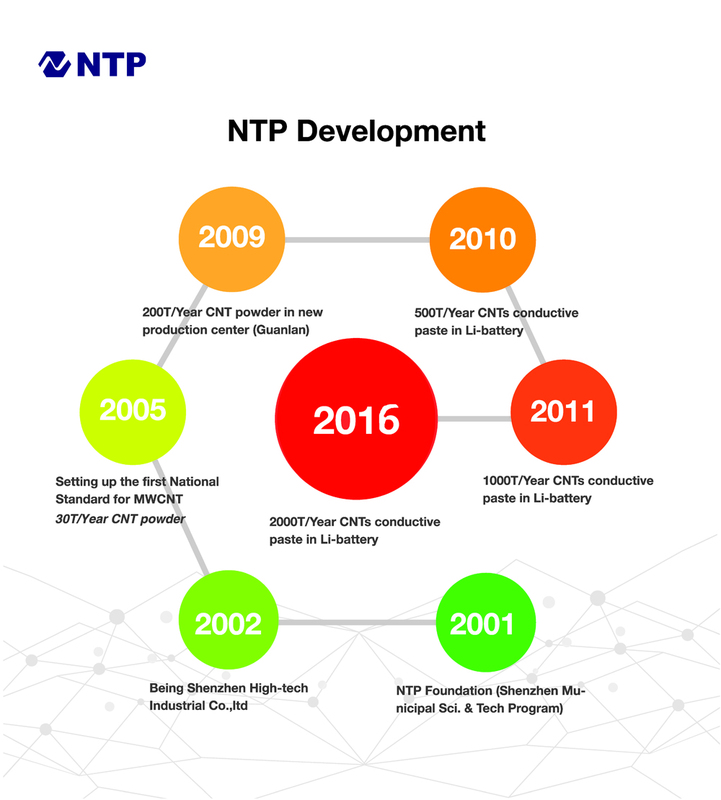 In Y2001, NTP successfully achieved the project of CNT mass production study, being Shenzhen enterprise’s technology centre. 3. In Y2002, NTP achieved “the national 863 project ”CNT conductive application in the static conductive coat materials, which appraised the leading technology of Shenzhen. 4. In Y2005,CNT production capacity per year is 30T. 5. In Y2010,moved to the new factory, CNT powder capacity reach 200T/Y. 6. In Y2011,start to produced CNT paste for battery, can supply 1000T/Y.